The fast pace of everyday life often leaves little time for bigger-picture problems; social justice issues are overshadowed by material desires, and environmental problems are sidelined by the stress of thousand-word essays. But it’s crucial to pause and evaluate the world around us, and to come together and see the footprints we leave. 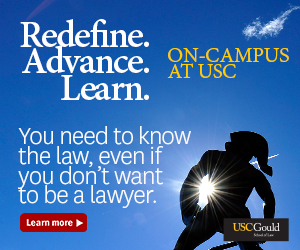 And this sunny week in April, USC students will have the chance to do just that. Undergraduate Student Government, Program Board and USC’s USC Office of Sustainability have collaborated to bring USC its third-annual Earth Week. 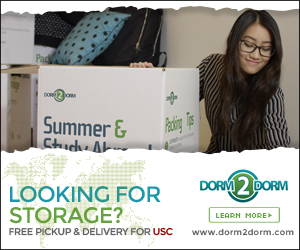 Beginning April 21, the USC community will heighten its environmental awareness through workshops, speakers and outdoor activities held throughout the week. Justin Bogda, assistant director of the USC Political Assembly, organized this year’s Earth Week. Organizers have taken ideas scrawled onto sticky notes and whiteboards and transformed them into tangible instances. A steady stream of students have updated their Facebook cover photos and profile pictures to Earth Week graphics or comical photographs of them hugging trees in order to promote events. The blueprint for each day demonstrates the variety of organizations involved: Organizations from the USC Bedrosian Center for Governance to the USC Fashion Industry Association will chip in for this year’s events. Though Earth Week is a 21st-century creation, it gains its roots from Earth Day. Tracing back to 1970 — a true hippie era — Earth Day is celebrated by more than 192 countries annually. Earth Day occurs every year on April 22, which was created to increase awareness of global environmental issues. Campus leaders have lined up events such as a fashion show and bike tours of Los Angeles. Incentives for attendees include free milkshakes, food and giveaways. Several student groups will also set up shop on McCarthy Quad during Earth Week’s pinnacle event on Thursday, the Advocacy Fair. Students who give environmentally friendly organizations their time on Thursday will earn treats such as fresh produce. A DJ from KXSC, a Brazilian drum performance and a laser light show will serve as entertainment for participants in the evening. Bogda, a junior majoring in environmental sciences and international relations, wanted to be clear that he had a lot of help re-shaping Earth Week’s structural activities. “But by no means am I the only person carrying out this endeavor,” he said. Bogda credits the Sustainability Business Leadership Council and members of various environmental programs on campus for their help. 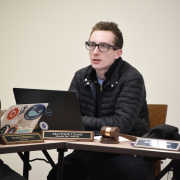 At the culmination of Earth Week, contributors will also present three resolutions to the university administration in order to reform campus policies. The first resolution urges the university to eliminate paper receipts, since many students toss them aside anyway. Organizers also request reform in the current recycling policy to foster a more eco-friendly environment. In the final resolution, groups have proposed a campaign for divestment from fossil-fuel companies. Ivan Kumamoto, a freshman majoring in business administration, said he was looking forward to the different speakers. Kumamoto said that the message behind Earth week resonates with him. But students shouldn’t withhold their devotion to worldly issues after Earth Week. In fact, Bogda and his council envision an Earth Month in the future. 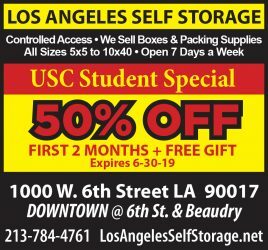 So grab a friend and take note of the plans in store for USC this week. You won’t regret lending a hand to a planet that makes everything possible. Correction: A previous version stated that the USC Center for Environmental Studies is hosting Earth Week. The Daily Trojan regrets the error.